Foundation Movement In Slab Foundations Requires Crack Repair. There are a wide variety of reasons for foundation movement. This is particularly true in North Texas cities such as Fort Worth, Arlington, Grand Prairie and Mansfield, TX. That’s because concrete slab foundations are affected by local soils and develop fractures when there is substantial motion in the earth. Under ordinary conditions, the surface of highly reactive clay soils in this region are known to move 40-60 mm. Foundation crack repair may be required in order to stabilize your structure as a result of movement, settling or heaving. It’s important to have a qualified contractor inspect your house and find out if your foundation is static or active. Once this has been determined, a foundation repair contractor can provide you with solid recommendations. In addition to expansive, reactive soils, poor soil compaction, aggressive tree roots and under-slab plumbing leaks can cause foundation movement. This applies to cities such as Arlington, Grand Prairie, Mansfield and the Dallas, Fort Worth metroplex. Inadequate foundation drainage is another reason. It is extremely common to need concrete slab foundation repair service due. This is due to the cracking and settling that results from these damaging conditions. Prior to building a house, a geotechnical report is generally ordered in order to determine how stable the soils beneath a foundation will be. It also provides information about moisture content. That’s because a house foundation is impacted by water. This applies to all kinds of moisture, including water from leaky pipes and heavy rain. A foundation drainage system can help eliminate slab foundation problems and minimize future fractures. To find out more, study information on why concrete slab foundations crack. Learn how ongoing movement in the ground beneath your foundation can eventually cause problems. 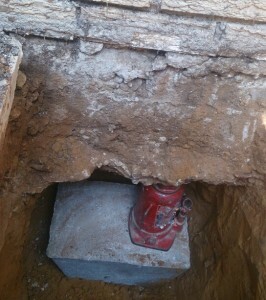 It’s a good idea to have your foundation fixed when you detect that there has been significant movement in it. If it’s not level on one side, or lower in the middle than it is around the perimeter, that indicates that your foundation has shifted. It could be sinking or settling. Not all areas of a foundation are affected by this back and forth motion simultaneously. That’s why slab cracks generally appear in one area of your house before the other. When only part of your foundation is affected, it is referred to as “differential movement.” Always keep in mind that the type of fractures you see are good indications of what type of foundation issues you’re having. When your foundation is experiencing upward movement, something as small as a single 1/8”-1/4” vertical crack is a telling sign. When your slab foundation is moving downwards, settlement is the issue. 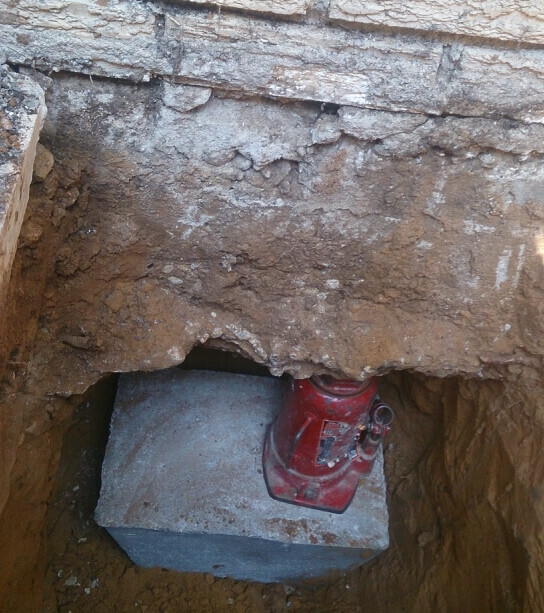 A competent contractor in the DFW area should be able to identify the reasons this is happening and repair your foundation. It is recommended that this be done right away in order to prevent bigger issues. Fissures are a concern. Problems of this nature are generally fixed by installing interior or exterior foundation piers made of pressed concrete or steel. Most times these piers are spaced 6’ on centers in order to fully support the load bearing weight of a house. It’s imperative to identify foundation settlement in slab, pier and beam foundations and fix any gaps that may have developed. Even ½” of settling can be significant and indicate movement. For a free inspection, contact HD Foundations today.